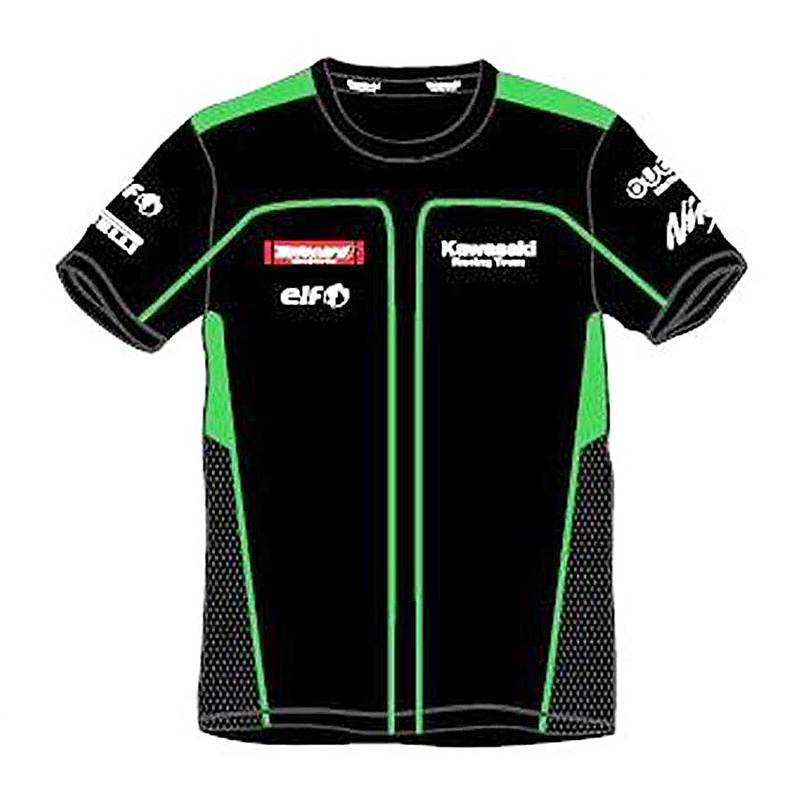 Official Kawasaki Racing Team replica T-shirt made of the finest cotton jersey. 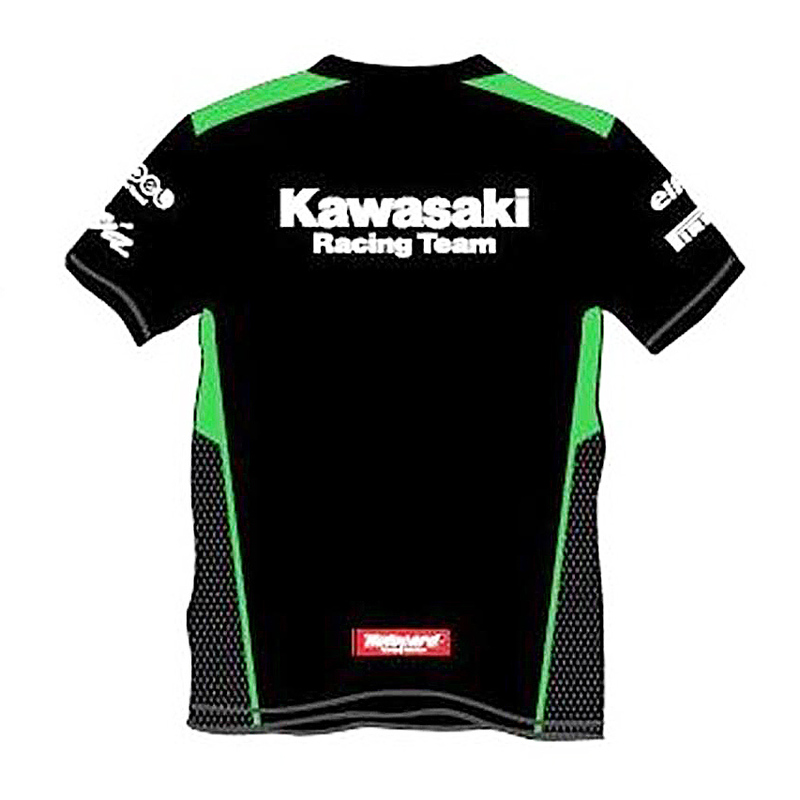 High quality printed Kawasaki Racing Team logos and sponsor logos on the arms. Kawasaki-green piping and mesh side panels to complete the sporty image. Black-on-white Kawasaki Racing Team-embossed tape lines the neck area.